TED, the influential nonprofit devoted to spreading ideas, made its way to Fishers High School on Friday evening! Over one hundred audience members at this TEDx event were treated to powerful talks, all centered around the theme Failures, Mistakes, and Reflections. Neurologist Dr. Linda Williams explained how perceived failure in medical research studies can lead to discovery in other areas. We learned of promising new models of global development from Butler University’s Dr. Jeff Rasley, and about overcoming personal adversity from Robanne Robin. Mrs. Lauren Glasco, FHS English teacher, put failure into perspective as she explained how the ‘failures’ of her own adolescence shaped her philosophy of teaching today. The evening’s closer featured a stellar performance by two FHS students who presented a thoughtful yet light-hearted duo on the power and way of forgiveness. 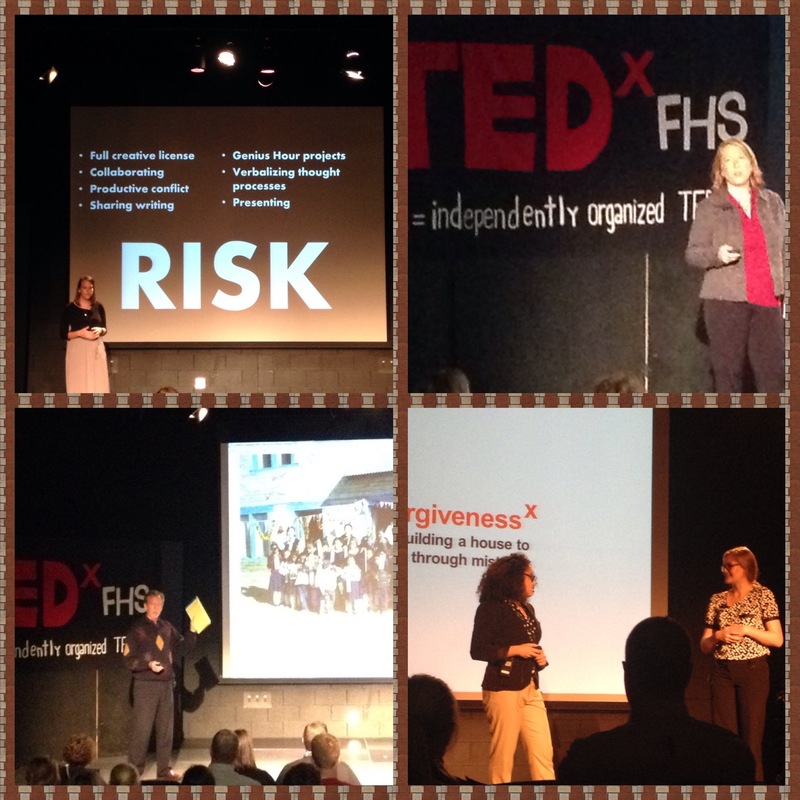 TEDxFHS was organized and planned by students in the International Baccalaureate (IB) program at Fishers High School. FHS faculty, IB students, and we, the audience, hope that Friday’s event will be a prelude to more local TEDx gatherings in the near future. The potential to have a TEDx event composed completely of student speakers is real–between student-driven Genius Hour projects, various class independent study projects and internships, AP Capstone projects and more….there are many new ideas worth spreading in the HSE Schools learning community!